THE International Monetary Fund and World Bank are institutions out of control. For evidence, consider the institutions' feeble and fatally flawed debt relief program. Under their Highly Indebted Poor Country (HIPC) initiative, the world's poorest countries can receive reduction of approximately one third of their current payments to overseas creditors -- if they endure six years of closely monitored, extremely intrusive "structural adjustment." ... HIPC is the institutions' most important fig-leaf, a program designed to obscure the view of the harm they are doing to poor countries. The UN's "Global Compact" with global corporations associates with notorious violators of UN values -- Global Compact companies have already violated the Principles of the Compact, without censure -- or even acknowledgement -- from UN officials. The Global Compact represents a smuggling of a business agenda into the United Nations. It should not be considered a contribution to or framework for the Johannesburg Summit. Here's the evidence. The United Nations Development Programme's "Human Development Report 2001 -- Making new technologies work for human development" attempts to address a key question for the 21st century: will technology entrench millions in even greater poverty -- or can it be used to eradicate poverty and suffering? But it chooses the wrong challenge. The key issue is not "making new technologies work for human development". The challenge is enabling poor people to make technologies work for them. After decades of denial about the hazards of tobacco, Philip Morris has been promoting the benefits to society of premature deaths from smoking, in a study that found the early deaths of smokers have "positive effects" for society that more than counteract the medical costs of treating smoking induced cancer and other diseases. Report of a chilling, documented history of ongoing corporate efforts to use propaganda and "public relations" to distort science, manipulate public opinion, discredit democracy, and consolidate political power in the hands of a wealthy few. Details, references, and lots of resources. There is a strong link between diminishing global biodiversity and the disappearance of languages. While new trees can be planted and habitats restored, it is much more difficult to restore languages once they have been murdered. It has taken centuries for people to learn about their environments and to name the complex ecological relationships that are decisive for maintenance of biodiversity. When indigenous peoples lose their languages, much of this knowledge also disappears. And languages are being murdered today faster than ever before in human history. Just as the Prince of Wales launched a millennium gene bank in Britain last November to conserve 10% of the plant kingdom, in Switzerland a threat appeared to the future availability of the seeds used to feed the world. Negotiations to keep their ownership in the public domain were only rescued at the 11th hour. These negotiations are a life insurance for humanity against rapid environmental, social and economic changes. Future food supplies will be under threat unless the talks succeed. Dedicated and well-organised groups are ruthlessly chipping away at the remnants of the World Trade Organisation's (WTO) credibility. There is a real danger that they will cause the rules-based trading system to collapse, destroying efforts to reduce poverty and global inequality. The wreckers are not from the broadening anti-globalisation, anti-WTO protest movement. They are the governments of the world's richest countries, using their power to subordinate the WTO to their national interests and to the pursuit of corporate profit, regardless of the cost to poor countries, public health and the environment. BP Amoco won a Corporate Watch "Greenwash Award" for its thoroughly misleading ad campaign "Beyond Petroleum". The slogan "Beyond Petroleum" is supposed to mean moving "beyond fossil fuels" to renewable fuels, but BP uses it to refer to its marketing push for natural gas -- a fossil fuel. BP spent more on its new eco-friendly logo in 1999 than on renewable energy. This was BP's second Greenwash award in 18 months. Read how BP boss Sir John Browne won a Greenpeace "Academy Award" for "Best Impression of an Environmentalist" for creating "an environmental fantasy of epic proportions". And behind the fantasy? Spin, lies, cheating, abuses, broken laws, pollution on a grand scale. Corporate Watch awarded its Greenwash Award to Shell for its ad claiming that Shell is at the forefront of reducing harmful greenhouse gases. Kenny Bruno, co-author of "Greenwash: The Reality Behind Corporate Environmentalism", takes a deeper look and finds that the company is full of hot air. Journey to Forever takes a further look, and finds that it's worse than that. Agribusiness mouth Denis T. Avery keeps claiming that "people who eat organic and 'natural' foods are eight times as likely as the rest of the population to be attacked by a deadly new strain of E. coli bacteria (0157:H7)" -- despite solid proof that his "evidence" and "tests" are all falsified. In fact nearly all cases of E. coli 0157:H7 poisoning result from contaminated meat from industrial factory farms and meat processing plants, NOT organic farms. So why does he keep claiming it? Because the truth hurts. "Miracle" crops, hailed as the answer to global famine, are contributing to widespread brain impairment in the developing world, a new report concludes. The high-yielding rice and wheat varieties of the "Green Revolution" are among a range of environmental factors undermining the intelligence of millions of people. 2000/5/3 The WTO: "These guys just don't get it!" In response to the anti-World Trade Organization (WTO) protests, a Washington think-tank sponsored a day-long seminar entitled "After Seattle: Restoring Momentum in the WTO". "This was supposed to be a seminar on how to rebuild public confidence in the WTO, not transform the agency into the former Soviet KBG." "Agriculture needs to counter false charges" and to "educate the general public and government officials" in order to "counter myth with facts", say two spokesmen of the American poultry industry. Myths to be countered with facts: animal welfare, worker safety, environmental contamination, antibiotic use. Malaysian timber companies have become notorious for their systematic destruction of the world's remaining rainforests. Latest victim is Liberia, which has one of the largest surviving rainforest areas in West Africa -- report on an ecological and social crime. 2000/3/17 Do pesticides cause cancer? The answer, straight from the horse's mouth -- chemical corporation Monsanto's "Fact Sheet On Pesticide Use": "Number of active ingredients in pesticides found to cause cancer in animals or humans: 107." Read on! Patrick Mulvany is food security policy adviser and Don Redding head of public affairs for the Intermediate Technology Development Group. Just as the Prince of Wales launched a millennium gene bank in Britain last November to conserve 10% of the plant kingdom, in Switzerland a threat appeared to the future availability of the seeds used to feed the world. Negotiations to keep their ownership in the public domain were only rescued at the 11th hour. These negotiations are a life insurance for humanity against rapid environmental, social and economic changes. Future food supplies will be under threat unless the talks succeed. At issue is the International Undertaking on Plant Genetic Resources for Food and Agriculture, or IU for short. It covers all the world's main food crops, and aims to ensure the conservation, sustainable use and "free flow" of these seeds so that they are preserved and freely available for current and future generations. The IU could keep access open to all crop, forage and agroforestry species used to maintain food security, including the 500,000 samples already in public-sector gene banks, as well as the hundreds of thousands of varieties in farmers' fields. Smallholder farmers have developed and managed a wide number of seed varieties over centuries. Despite the expanding global trade in brand-name seeds and foodstuffs, up to 90% of the seeds used by these small farmers are saved on the farm andexchanged freely among their networks. These provide food for nearly two-thirds of the world's population. But patenting of whole varieties and parts of the genome, and intellectual property rights regimes that support the biotechnology industries, are increasing the rate of appropriation of genetic resources from the south into private ownership in the north -- "biopiracy". The IU would provide rules for a special category of genetic resources that are covered by the World Trade Organisation's trade-related aspects of intellectual property rights agreement. This agreement obliges countries to have measures for the intellectual property protection of plant varieties. The IU's contentious central articles would ensure the free flow of these genetic resources, and reduce biopiracy. The IU would also ensure that farmers reap benefits from commercial use of genetic resources they have developed. It would be legally binding within the framework of the Convention on Biological Diversity (CBD). When the nations that have signed the convention last met, in May last year, the Intermediate Technology Development Group -- a British-based charity that uses technology to find practical answers to poverty -- and partner NGOs brought smallholder farmers from Africa to the policy table: they demanded that the IU negotiations be concluded swiftly. The CBD has entrusted the United Nations Food and Agriculture Organisation (FAO) to host the negotiations. A contact group of 41 countries is preparing the text for the FAO's conference of its 180 member states this year, and then to the CBD in 2002. Last August the group agreed on the text of the contentious articles, but at its meeting in Switzerland last November the United States, Canada, Australia and New Zealand reopened that text and blocked progress. These were almost the same countries that had tried to stall the biosafety protocol to the CBD and the climate change meeting at The Hague. The contact group meets again next month. The European Union must seek an agreement that is strong on binding commitments. It should let its negotiators negotiate at the table without continually returning to their domestic departments and the Council of Ministers. Environment ministers should also line up behind the process. At stake is the world's access to a set of patent-free genetic resources on which we all depend. Is that not worth an extra push? The Contact Group dissolved into various drafting groups. By the end of the day, the plenary session had still not reconvened. Serious misunderstandings remained about how to include the CGIAR centre genebanks in the IU. Simple wording to prevent IPRs [Intellectual Property Rights] on PGRFA [Plant Genetic Resources for Food and Agriculture] in the IU, "Recipients shall not claim any intellectual property or other rights that limit the facilitated access to the PGRFA in the Multilateral System;" was seemingly impossible to agree. All is not lost (other than precious negotiating time) and the CG will reconvene in April. Maybe before then, political pressure from Ministers of Agriculture and Environment can be increased to ensure that negotiators have a clear mandate to secure an agreement in time for the Extraordinary Session of the Commission (CGRFA) in mid-2001. International Undertaking on Plant Genetic Resources (IU) -- Keeping free access to the world's plant genetic resources for food and agriculture - Some hope? FAO Council and Conference 30 October - 13 November 2001 to finalise the IU -- but issues on IPRs, relationship with WTO and the List of Crops still to be agreed. GRAIN, "Last chance for an open access regime? ", Seedling, June 2000. RAFI, Rural Advancement Foundation International, "The Other BioSafety Protocol", GenoType, 20 February 2001. RAFI regularly follows the IU negotiations and produces briefing materials that can be found on their website. journalistic fashion from the scene of the IU negotiating sessions. See Seeds of the world. The wreckers have been at it again. In the year since the collapse of world trade talks in Seattle, dedicated and well-organised groups have been ruthlessly chipping away at the remnants of the World Trade Organisation's (WTO) credibility. Without firm action there is a real danger that they will cause the rules-based trading system to collapse, destroying efforts to reduce poverty and global inequality. The wreckers are not from the broadening anti-globalisation, anti-WTO protest movement. They are the governments of the world's richest countries, which continue to use their power to subordinate the WTO to their national interests and to the pursuit of corporate profit, regardless of the cost to poor countries, public health and the environment. Media attention in Seattle, Prague and to some extent Nice focused on the street protests and the activities of a few balaclava-clad "globaphobes" with a disdain for McDonald's windows. But the real battle has been taking place off-camera, with developing countries challenging the northern governments' abuse of the system. While poor countries have liberalised their markets, rich nations have remained protectionist, especially in areas such as textiles and agriculture. The authority of the WTO, which drives globalisation, has been extended into new areas, such as intellectual property rights. The negotiating process has continued to be profoundly undemocratic, with big countries stitching up deals in secret. It was the failure of the United States and the European Union to address these concerns that produced the real debacle in Seattle in 1999. Last month the European trade commissioner, Pascal Lamy, said he thought the time had come for the EU to consider reformulating its position on world trade negotiations if a new round of multilateral negotiations were to be launched. There was still no mention of the reforms that Britain and other countries had said were vital to make the WTO more democratic and accountable. So the charade goes on. Take protectionism. Each year developing countries lose about $700bn as a result of trade barriers in rich countries: for every $1 provided by the rich world in aid and debt relief, poor countries lose $14 because of trade barriers. Reducing these barriers would create jobs and take millions of people out of poverty. Unfortunately the post-Seattle record is abysmal. The industrialised countries promised to provide the 48 least developed countries - which account for 12% of the world's population but only 0.5% of trade - with improved market access. One year on, they have done nothing. Poor countries exporting to the industrialised world face tariffs four times as high as those facing rich countries. Industrialised countries have promised to withdraw restrictions on imports of textiles, the third world's biggest manufactured export. But less than 10% of the restrictions have been lifted. Nowhere are the double standards as deeply ingrained as in agriculture. US negotiators wax lyrical about the virtues of "level playing fields" in farm products. Yet the industrialised countries spend more than $240bn subsidising environmentally destructive intensive agriculture, and the "free-trading" US has increased farm subsidies over the past year. Poor countries are losing export markets, and rural livelihoods are being destroyed on a huge scale because millions of poor farmers in Africa, Asia and Latin America cannot compete against subsidised imports. The resulting loss of food self-reliance is good news for the giant corporate grain exporters, who dictate US trade policy, but bad news for the fight against poverty. India, Kenya and the Dominican Republic have been demanding a WTO food security clause that would them restrict imports in the interests of achieving food self-sufficiency. The US has blocked the proposal, claiming that it would distort markets. In reality the WTO is being used to ensure that US commercial interests supersede basic human rights. The same principle applies to WTO rules on patents, which are the product of a lobbying campaign led by giant pharmaceutical and biotechnology companies. These rules have extended the duration and scope of patent protection, and backed corporate claims with the threat of WTO-sponsored trade sanctions. One consequence is that countries with strong generic drugs industries will no longer be permitted to produce low-cost copies of patented drugs for low-income populations. These industries are able to produce drugs to treat HIV and Aids at less than one-20th of the market price of patented equivalents, providing a lifeline for millions of sufferers. India and Egypt have asked for more time to find ways of adapting to the new regime. The American Pharmaceutical Manufacturers' Association has demanded US trade sanctions against both countries, and the US Trade Representatives Office has placed them on notice. At a time when public health in poor countries is threatened by new diseases and drug-resistant variants of old killers such as diarrhoea, measles and pneumonia, WTO rules dictated by corporations and enforced by northern governments will deprive millions of poor people of access to vital drugs, causing premature death and suffering on an enormous scale. We desperately need a rules-based system of global governance that places people before corporate profit, and shares the benefits of globalisation more equitably. According to UNICEF, 1.5 million infants die each year chiefly because of false infant formula advertising. Guatemala was forced to choose between maintaining the UNICEF baby formula policy that has saved thousands of childrens lives or facing an expensive defense in a WTO tribunal and then possible trade sanctions for not protecting the trademark rights of US baby food manufacturer Gerber, whose label violates the UNICEF code. In fact Guatemala had no choice. "Whose Trade Organization? Corporate Globalization and the Erosion of Democracy" by Lori Wallach and Michelle Sforza, Public Citizen's Global Trade Watch, Preface by Ralph Nader: The 5-year track record of the World Trade Organization in language accessible to everyone. Documents the WTO's actual impact on democratic governance, wages, jobs, economic growth, food security, access to healthcare, food safety, labor rights and environmental protection. Global Fair Trade Principles -- A coalition of 44 groups has proposed five principles to guide US trade policy. Global Issues That Affect Everyone -- excellent resources on Trade Related Issues: The Causes of Poverty, The Effects of Debt, Free Trade and Globalization, Corporations, Fair Trade, and much more. Global Trade Watch (GTW) was created in 1993 to promote government and corporate accountability in an area on which few public interest groups were focused: the international commercial agreements shaping the current version of globalization. GTW is a division of Public Citizen, the national consumer group founded in 1972 by Ralph Nader. Greenwashing: Corporate public relations campaigns that promote an eco-friendly image, when a company's practices are precisely the opposite. In December it was the turn of another giant oil corporation -- BP Amoco won the Greenwash Award for its thoroughly misleading ad campaign "Beyond Petroleum". 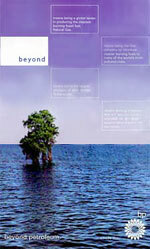 "Beyond Belief," commented the Earth Day Network's Grist Magazine. "Beyond Preposterous," said Corporate Watch. "Beyond Pretentious." See "Greenwash Award: BP: Beyond Petroleum or Beyond Preposterous?" Even the slogan "Beyond Petroleum" has been purloined from the environmental movement, and its meaning cynically twisted -- it's supposed to mean moving "beyond fossil fuels" to renewable fuels, but BP uses it to refer to its marketing push for natural gas -- a fossil fuel. BP has no intention of moving beyond fossil fuels. Corporate Watch says BP will spend US$5 billion over five years for oil exploration in Alaska alone. BP spent more on their new eco-friendly logo last year than on renewable energy. This is BP's second Greenwash award in 18 months. The first was for the oil giant's bizarre "Plug in the Sun" Program, launched on March 13, 1999, when BP boss Sir John Browne announced that it would install solar panels in 200 gas stations around the world. "We can fill you up by sunshine," claimed BP -- but it was gasoline that went into the tank, not sunshine. BP spends just 0.01% of its portfolio on solar energy as it explores for more oil and sells more gasoline. BP's oil and gas account for about 2% of all global greenhouse gas emissions. Greenpeace said behind Browne's portrayal of BP Amoco as a leader in solar energy lay a company with far greater investment in dirty fossil fuels that are causing global warming. "As director of BP Amoco, John Browne has created an environmental fantasy of epic proportions," said Gary Cook of the Greenpeace Climate Campaign. He said 99.95% of BP Amoco's recent investments were in fossil fuel concerns, while solar investments had actually declined. "If we are to avert catastrophic global warming we cannot afford to burn 75% of the fossil fuels we've already discovered," Cook said. "Yet John Browne wants to spend $4 billion to open up new oil fields in the Arctic." In a speech at Stanford University in May 1997, Browne said: "There is a discernible human influence on the climate and a link between the concentration of carbon dioxide and the increase in temperature." Browne also said BP needs to take into account the views of the society in which it operates. But Kenneth E. Blower, BP's director of health, safety and environment, said the company's decision to address climate change was a business one: "We want to be early into this [issue] -- this will be valuable to stockholders in the long term." And Britain's Prime Minister Tony Blair, talking of "environmentally aware oil companies" (sic) during a speech on the environment, said: "As BP's John Browne has said, the enlightened company increasingly recognises that there are good commercial reasons for being ahead of the pack when it comes to issues to do with the environment." Perhaps the exact motivation wouldn't matter if the company was actually doing something about it. But is it? Something more than the 0.01% it spends on solar energy, that is? In 1998 Browne publicly endorsed the precautionary principle. This is important -- without it, greenhouse gas offenders like BP could simply say, "There's no conclusive proof that it's affecting the climate." The precautionary principle shifts the burden of proof. As the Rio Declaration of the 1992 United Nations Conference on Environment and Development (the Earth Summit) puts it: "Where there are threats of serious or irreversible damage, lack of full scientific certainty shall not be used as a reason for postponing cost-effective measures to prevent environmental degradation." In 1999 BP duly quit its membership of the Global Climate Coalition, a Washington-based lobbying group that opposes the Kyoto climate treaty and claims that there is insufficient scientific evidence to confirm that greenhouse gases are causing global warming. BP's Environmental Policy Adviser Charles Thomas said: "The emphasis for us is very much on emissions reduction. That is what Kyoto is all about." And indeed, BP has made a public commitment to reducing its own emissions by 10% by the year 2010. But this is more greenwash. BP's direct emissions are peanuts -- BP's main role in causing global warming is not from company emissions, but from the oil and gas it produces, which generate more greenhouse gas emissions than those of Canada, Britain, or Central America. Meanwhile Friends of the Earth and other environment groups are considering suing fossil fuel companies and industrialized nations that are blocking implementation of the Kyoto treaty. Tony Juniper, policy and campaigns director at Friends of the Earth UK, raised the subject of a global warming damage lawsuit at a recent conference hosted by BP. The BP attorneys "said that climate change hasn't been proven", Juniper told reporters. For all the hot air at the top, that's the bottom line. And Browne's plans to spend $4 billion to open up new oil fields in the Arctic prove it. The real level of BP's interest in renewable energy was demonstrated recently when the company took legal action in the European Court of Justice against France's tax exemptions for its burgeoning biofuels industry producing bioethanol and biodiesel, both of which come from plant sources, are carbon neutral, and much cleaner-burning than their fossil-fuel equivalents. BP claimed the tax breaks risked distorting its own markets for fossil fuel-derived synthetic ethanol -- mainly methyl tertiary butyl ether (MTBE), which is used to increase the octane content of lead-free gasoline. MTBE is filthy stuff (see below). The French bioethanol-derived equivalent, ETBE, does exactly the same job, but it's clean. Nonetheless, the court ruled that the French tax exemption for ETBE was unacceptable -- a victory for BP, a blow for everybody else. But the court accepted the exemption for biodiesel. France has applied to continue the ETBE exemption under a different provision, but will need the agreement of all the EU member states to do so. MTBE is a public health and environmental nightmare, now widely banned in the US, with 90 environment and health groups pushing for a total ban -- which was passed by the Senate but didn't get any further. Intense lobbying by oil companies was cited as a reason. GAO warns MTBE fuel leaks in water more widespread -- Washington, May 22, 2002: Contamination of water supplies by MTBE is more widespread in local communities than previously thought, because the gasoline fuel additive has leaked from pipelines across the United States, the General Accounting Office warned Congress. Big Oil's MTBE Cover-Up -- "By 1991 the industry was using more than 100,000 barrels of MTBE per day in reformulated gasoline. Yet secret oil company studies, conducted at least as early as 1980, showed the industry knew that MTBE contaminated ground water virtually everywhere it was used." MTBE: What The Oil Companies Knew And When They Knew It -- Election-Year Deal in Congress Would Shield Industry From Lawsuits for Water Contamination -- Internal Industry Documents Are Rewriting The MTBE Pollution Story -- EWG's report "MTBE With Knowledge"
Never mind pretty new logos and stolen green slogans and "enlightened" speeches --- this is the true nature of oil corporations like BP. BP is one of the companies champing at the bit to drill in the pristine Arctic National Wildlife Refuge. They claim they could do so in an environmentally benign fashion. On September 23, 1999, BP pleaded guilty to a federal felony connected to illegal dumping of hazardous waste at their Endicott Oil Field near Prudhoe Bay, Alaska. BP agreed to pay $22 million in criminal and civil penalties. A BP contractor had dumped thousands of gallons of toxic waste at the oil field between 1993 and 1995, one of the worst environmental crimes in the history of North Slope oil drilling. Alaska has meanwhile imposed new restrictions on BP's drilling operations in the state's Northstar field because the company failed a number of spill-response tests. Greenpeace and other groups, including indigenous Eskimoes, have been fighting BP's Northstar oil drilling operation, and virtually the entire environment movement opposes its plan to drill in the Arctic National Wildlife Refuge. "Allowing BP Amoco to drill in the Arctic Refuge is like putting a drunk driver behind the wheel of a school bus," said Athan Manuel, director of the US Public Interest Research Group's Arctic Wilderness Campaign. "There is nothing green about BP Amoco. They drill for oil in sensitive ecosystems, contribute to global warming, and pollute the environment every day." He's wrong, there is something green about BP. They keep winning Greenwash Awards. A broad coalition of Tibet, human rights and environmental groups is campaigning against BP over its investment in a Chinese oil firm building a pipeline on traditional Tibetan land. The coalition of 54 groups, including Friends of the Earth, the Sierra Club, movie star Richard Gere and Adam Yauch of the rock band Beastie Boys, are demanding that BP use its influence to halt construction of the pipeline through Qinghai province. The coalition says the project will lure more Chinese settlers, upset the delicate ecosystem and deplete natural resources with little benefit for locals. They said BP's claim it had no interests in Tibet was "disingenuous and evasive" and it had taken no concrete action in six months of talks with Tibet support groups. The Dalai Lama has said investments in oil and gas projects in Tibet are harmful to Tibetans and called on BP Amoco to withdraw investments from PetroChina. Latest award: On December 27, 2000, in an article entitled "Enemies of the Future", the Multinational Monitor announced its list of the Ten Worst Corporations of 2000. It awarded third place to "BP/Amoco: Lawbreaker". "The oil giant which likes to portray itself as environmentally responsible paid major fines and entered settlements in 2000 for illegal disposal of hazardous waste, alleged Clean Air Act violations, and underpaying royalties for oil produced on federal and Native American lands." BP Amoco bumped up West Coast oil prices by exporting Alaskan crude to Asia for less than it could have sold it to US refiners, according to experts' reports and court records obtained by The Oregonian newspaper. The documents, which the newspaper filed suit to obtain, were part of a Federal Trade Commission analysis of BP's proposed $26.8 billion buyout last year of Atlantic Richfield Co. In a 1995 e-mail exchange described by the newspaper, BP managers discussed "shorting the West Coast market" to achieve "West Coast price uplift scenarios" by shipping Alaska crude to the Far East to "leverage up" prices on the West Coast. An expert hired by the FTC said BP had tightened oil supplies to raise the price of millions of barrels of crude oil shipped to refineries in California and Washington state since 1996. He estimated this drove up West Coast pump prices by 1 to 3 cents a gallon. He said the e-mail was one of many "smoking gun" documents he reviewed. BP officials dispute the FTC experts' conclusions. Oil companies have blamed the Northwest's higher prices on OPEC cutbacks, refinery fires, taxes and pipeline disruptions. Oregon's senators have asked two Senate committees to investigate the allegations. BP Amoco will spend an estimated $650 million to settle a federal clean-air lawsuit by cutting ozone-producing pollutants at its eight oil refineries across the US. As part of a consent decree approved in a US District Court, BP will install pollution-control equipment and pay $10 million to settle Clean Air Act violations. The lawsuit, filed by the Environmental Protection Agency, alleged BP violated several clean air laws at its refineries. BP Amoco said government fuel taxation policies are driven more by financial income than green ideals. "We have observed that governments are apparently more driven by revenue than environmental objectives when setting the level of fuel duties," the company said in a written report to the UK Parliament's Enviromental Audit Select Committee. London -- Oil giant BP is struggling to shake off accusations that it is stifling discussion of its environmental and human rights policies, in a furious row that goes to the heart of the climate change debate. BP admitted that it had sought to prevent lobby groups who have the support of its shareholders from debating resolutions on the environment and on human rights at a BP annual general meeting next month. The lobby groups, who include Greenpeace and the Free Tibet Campaign, accused BP of a "disregard and disrespect for its shareholders," while an independent corporate governance advisory body, PIRC, said the move "smacks of corporate arrogance." BP employees question safety of drilling technology -- The technology that US President Bush says will allow drilling in the Arctic National Wildlife Refuge to be environmentally sensitive has "the potential for a natural catastrophe," the Wall Street Journal reported (April 13, 2001). Most experts agree that the technology for ANWR drilling would replicate operations under way in Alaska's Prudhoe Bay oilfields. But Alaska inspectors discovered last month that almost a third of the safety shutoff valves tested at one Prudhoe Bay drilling platform failed to close. And secondary valves often fail as well, BP Amoco technicians say. The BP employees say the design problems put worker safety and the environment at risk. BP Amoco executives defended its Prudhoe operations, saying they were safe. Cloud the Issue or Clear the Air? The issue of global warming has given rise to a heated debate. Is the burning of fossil fuels and increased concentration of carbon dioxide in the air a serious threat or just a lot of hot air? Shell believes that action needs to be taken now, both by companies and their customers. So last year, we renewed our commitment not only to meet the agreed Kyoto targets to reduce greenhouse gas emissions, but to exceed them. We're working to increase the provision of cleaner burning natural gas and encouraging the use of lower-carbon fuels for homes and transport. It's all part of our commitment to sustainable development, balancing economic progress with environmental care and social responsibility. Solutions to the future won't come easily, particularly in today's business climate, but you can't find them if you don't keep looking. Corporate Watch has awarded the latest Greenwash Award to Shell for its ad claiming that Shell is at the forefront of reducing harmful greenhouse gases. Kenny Bruno, co-author of "Greenwash: The Reality Behind Corporate Environmentalism", takes a deeper look and finds that the company is full of hot air. As the Sixth UN conference on Climate Change in the Hague got underway, one of the planet's largest corporate climate culprits dared to raise its profile by taking out an advertisement in the Financial Times about the global warming issue. Shell, the world's third largest oil company, was continuing its clever but misleading series "Profits or Principles" with the ad pictured right. The ad is pretty, of course, and it sounds reasonable, caring and honest. But Shell has a history of "greenwash" -- green-themed advertising and public relations aimed at presenting an environmentally responsible image. So let's take a deeper look at the "Clouding the Air" ad. Shell asks: "Is the burning of fossil fuels and increased concentration of carbon dioxide in the air a serious threat or just a lot of hot air?" It sounds like a tough question, but it's not. There is overwhelming scientific opinion that both fossil fuel use and CO2 emissions are a serious threat. The main reason for the "hot air" theory is a major effort by the oil industry, among others, to discredit climate change science in the eyes of policy makers and the public. Shell has been among the companies questioning the science since 1988, although in recent years it has finally admitted that enough is known to call for a precautionary approach. Shell says that "last year, we renewed our commitment not only to meet the agreed Kyoto targets to reduce greenhouse gas emissions, but to exceed them." This is a fine step, but not nearly as significant as it might seem. Like the other fossil fuel giants, Shell's impact on the climate stems not primarily from its use of oil and gas, but from its production. Oil produced by Shell alone accounts for more carbon dioxide than most countries in the world. Steps to address this much larger role would be significant, but instead Shell continues a worldwide effort to locate and produce more oil and gas that the world cannot afford to burn if it is to avoid catastrophic climate change. Shell says, "We're working to increase the provision of cleaner burning natural gas..." In theory, natural gas leads to somewhat lower carbon emissions than burning of oil for the same amount of energy. But if you count gas leaks, known as fugitive emissions, the difference between gas and oil for the climate is slim to none, and impacts on the local environment and communities are similar to those of oil. Natural gas is at best an incremental improvement over oil, and at worst a distraction from the real challenge of moving our economies beyond fossil fuels. Meanwhile, other ads in the "Profits or Principles" series tout Shell's commitment to renewable energy sources. They feature Shell photos of lush green forests accompanied by earnest discussion of this purported commitment. But, according to Greenpeace, Shell spends a miniscule 0.6% of its annual investments on renewables. In true greenwash fashion, Shell's actions do not match its words. Says Shell, "It's all part of our commitment to sustainable development." Their ad writer should read an essay in Shell's own glossy "Profits and Principles" booklet. Buried in the expensive and lovely pages of that publication is this nugget of truth: "
a sustainable oil company is a contradiction in terms." "Cloud the Issue or Clear the Air?" Long-time Kyoto Protocol watchers are aware of the powerful role the oil industry has played in slowing and weakening the agreements on climate change. Self-proclaimed corporate environmentalist leaders like Shell and BP take credit for voluntary initiatives that do not harm their bottom line, while allowing others to do the dirty work of making sure international agreements do nothing to curtail their activities. The pictures and copy in Shell's ads are clear. But in the atmosphere of the climate negotiations, they have clouded the issue once again. The Shell advertising campaign is a response to years of criticism of the company's poor environmental and human-rights record. Most of the criticism centers on Shell's collusion with the Nigerian government to suppress the Ogoni people on whose land in the Niger delta Shell drills its wells. The oppression continues to this day, and peaked in 1995 with the execution of Ogoni writer and activist leader Ken Saro-Wiwa and five others. "This is it -- they are going to arrest us all and execute us. All for Shell." -- Ken Saro-Wiwa, two weeks before he was arrested, May, 1994. Between 1976 and 1991, 2,976 oil spills blackened the Niger delta, an average of four a week. Shell games -- Project Underground: Exposing corporate human rights & environmental abuses; supporting communities threatened by the mining & oil industries. Welcome to the World of Greenwash, where transnational corporations (TNCs) are preserving and expanding their markets by posing as friends of the environment and enemies of poverty -- Kenny Bruno on the Orwellian realm of sham environmentalism. Royal Dutch/Shell has been awarded the World Environment Center's 17th Annual Gold Medal for International Corporate Environmental Achievement. Commenting on the award, Shell group managing director Sir Mark Moody-Stuart said: "My colleagues and I are totally committed to a business strategy that generates profits while contributing to the well-being of the planet and its people." The WEC Gold Medal is awarded by an "independent Jury of distinguished international environmental experts to a corporation that demonstrates preeminent industry leadership and contributes to worldwide environmental quality". BP is a previous winner. The jury cited Shell for its commitment to sustainable development, "as a guiding principle for its worldwide operations and as a cornerstone of the company's management values". Bit of a Freudian slip in the press release though: "Also factoring into the Jury's decision was Shell's leadership role in global climate change [right!] which it considers one of the most controversial and pressing environmental issues of our time." WEC says it is an independent, not-for-profit and non-advocacy organization. It was founded in 1974 with a grant from the United Nations Environment Programme (UNEP).